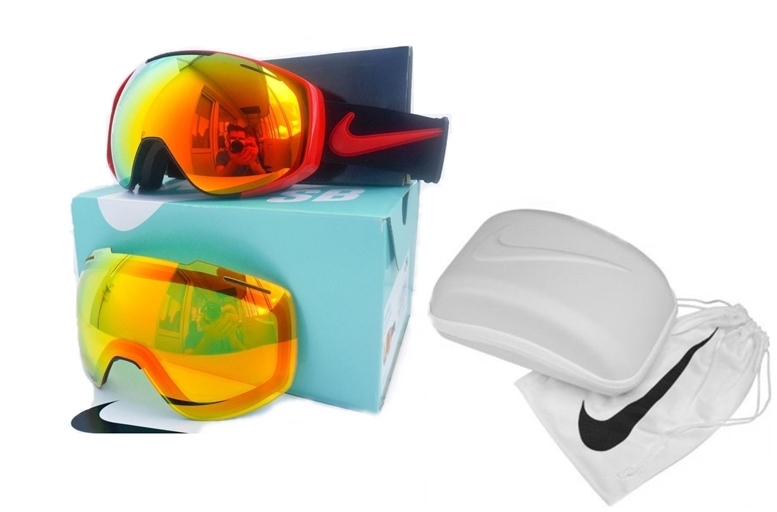 GOGGLES: Nike Khyber. A limited edition release from a Nike SB (SnowBoard) Dragon Alliance Collaboration. CONDITION: New in box guaranteed authentic with carry bag/cleaning cloth, hard case, bonus lens, and full warranty. LENS COLOR: Red Ion (21 VLT, Visual Light Transmittance)for sunny conditions plus bonus Yellow/Red Ion (64 VLT) spare lens for low light conditions. SIZE: Medium fit for men. 93mm lens height, 164mm lens width.